The Vicino/lontano Festival (from now on, “Vicino/lontano“) will create a competition called #Disequality (from now on, COMPETITION). The aim of the project is to create a perspective comparison of inequalities through photographs taken by people of various backgrounds, gender, religion, profession, culture, and which portray life moments, situations, symbolic or representative elements of what is personally considered an inequality within the urban context. The selection of 20 photographs, among all those uploaded on Instagram by the participants, will compose the final exhibition that will be presented along the street where the festival takes place. The COMPETITION is not sponsored, managed or associated to Instagram. The COMPETITION will start on April 9th ​​2018 and will end at 00.00 on April 30th 2018. The selection period of the 20 photoes and of the 3 winners will take place between April 30th, 2018 and May 4th, 2018. The announcement will be made over the next following days by email or telephone contact (if provided by the participant). The exhibition period will be from May 9th to May 16th in Largo Ospedale Vecchio in Udine. ⦁ Publish the photo in good quality on Instagram from your own app profile. The pictures must have inequality as subject, that can be related to generation, gender, ethnicity, religion or any disparity that the user thinks to be relevant. You must also use three (3) hashtags #disequality #vicinolontano2018 #constraintmag to publish your photo. 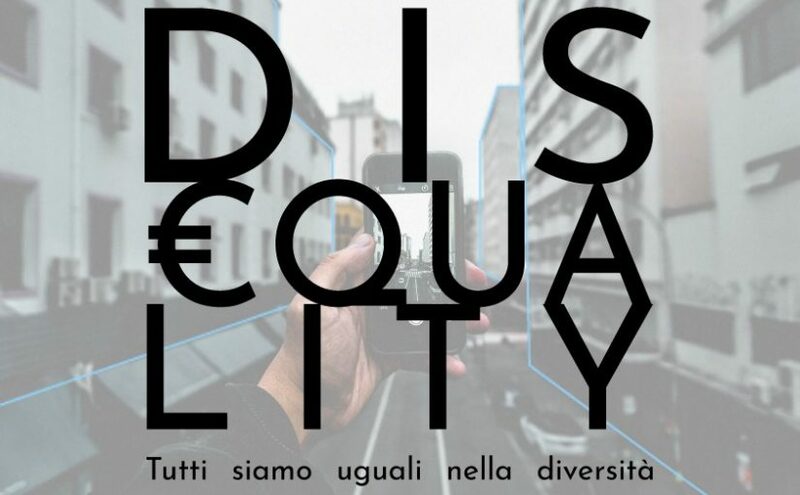 Only the photoes regarding the competition subject and having the hashtags #disequality #vicinolontano14 and #constraintmag will be considered. A jury will choose, among all the participants, the photoes with the highest artistic quality which best represents the required subject. Each contributor can participate with more than one picture, but will be allowed to win one prize only. A total of 20 photographs will be selected to be part of an exhibition itinerary located in Largo Ospedale Vecchio in Udine (along the festival’s street). Three of these will respectively win the first, second and third prize. Of these three, the first and second prizes will be chosen by the jury (i.e. by festival organizers), while the third will be connected to the number of “likes” that the photo will be able to get on Instagram. The 20 selected participants will be exhibited anonymously, with the exception of the three winners. We will also request the general author’s details regarding ethnicity, gender, religion, age group, with the participant’s consent and authorization to the processing of personal data. Each participant in the COMPETITION understands and accepts that Vicino/lontano is not, and will not be, liable for any losses or irregularities that may occur due to communication issues or any other error or omission arising from transport problems not up to Vicino/lontano. In case the winners live within the province of Udine, the prizes must be picked up at the Cultural Association Vicino/lontano in via Crispi n.47, Udine in the days after the end of the festival (after May 13th, 2018). If the winners live outside the region or are unable to pick up the prize, the same prize will be sent, upon mail or telephone agreement, to the address specified. Project of Constraint Magazine Udine in collaboration and with the support of Vicino/lontano.